If you want to add a motorsport complement to both casual and business dress, these racing style knit socks are an ideal choice. They can be worn with any outfit for a dapper touch. The socks are adorned with iconic graphic elements such as competition inspired rondels, flags and stripes. 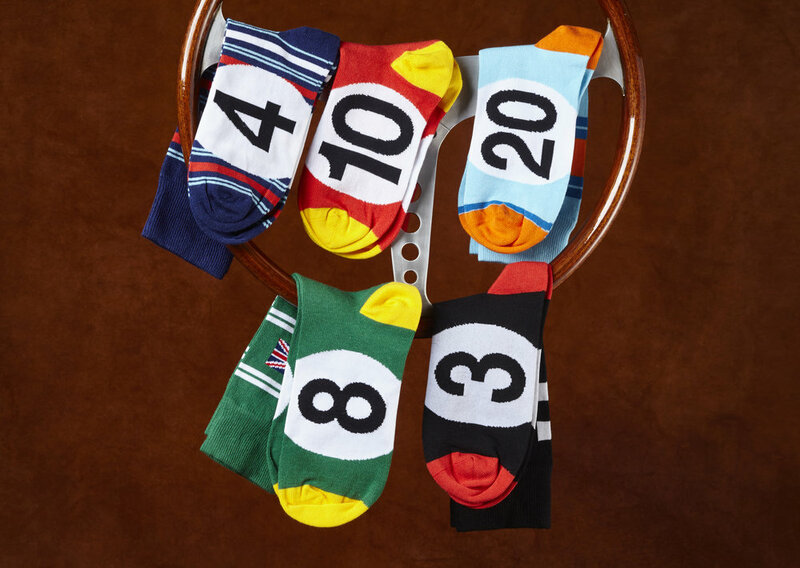 They are the perfect way to channel your inner racer and add to your sock collection.